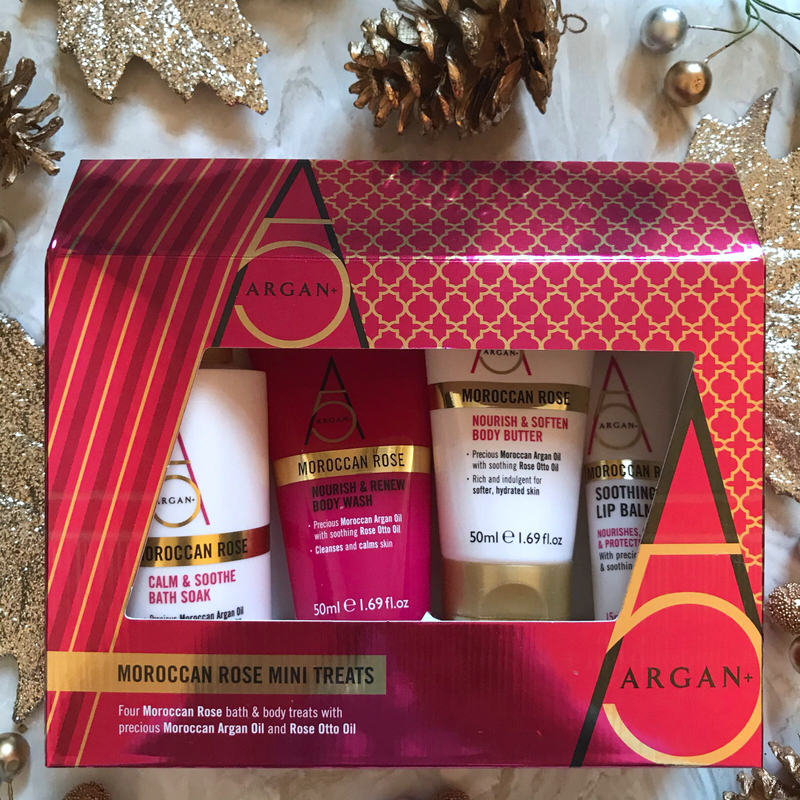 I have another Christmas gift idea for you today and it is a lovely Argan+ Moroccan Rose Mini Treats gift set containing 4 products. 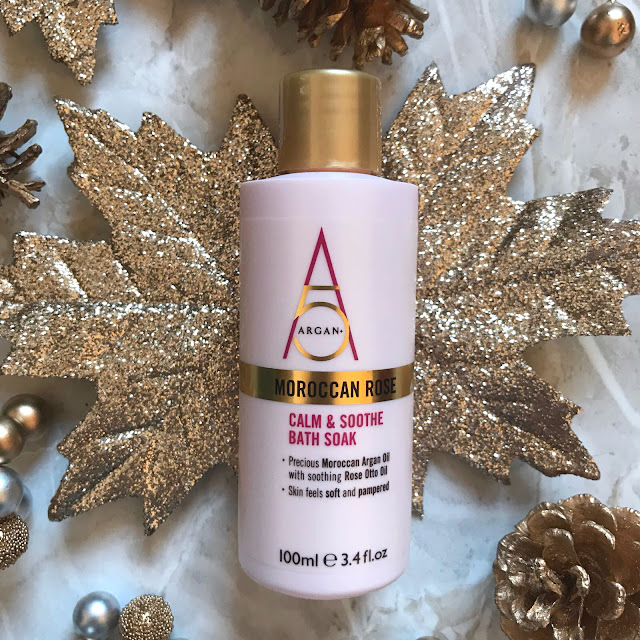 The bath soak contains Moroccan Argan Oil, Rose Otto Oil, Kukui Oil, Baobab Oil, Moringa Oil and Sachi Inci Oil and it smells lovely, when I first saw the gift set was a rose set, I worried I wouldn't like the scent as Rose scented products aren't my favourite, but the products smell lovely. The bath soak is perfect for a indulging, relaxing and nourishing soak and leaves the skin feeling soft, clean and smelling lovely. The body wash contains the same oils as the bath soak and again smells lovely, it lathers up well and leaves the skin feeling cleansed, soft and smooth and smelling lovely, I have eczema and my skin isn't irritated at all when I use the body wash, it is lovely and feels and smells luxurious. 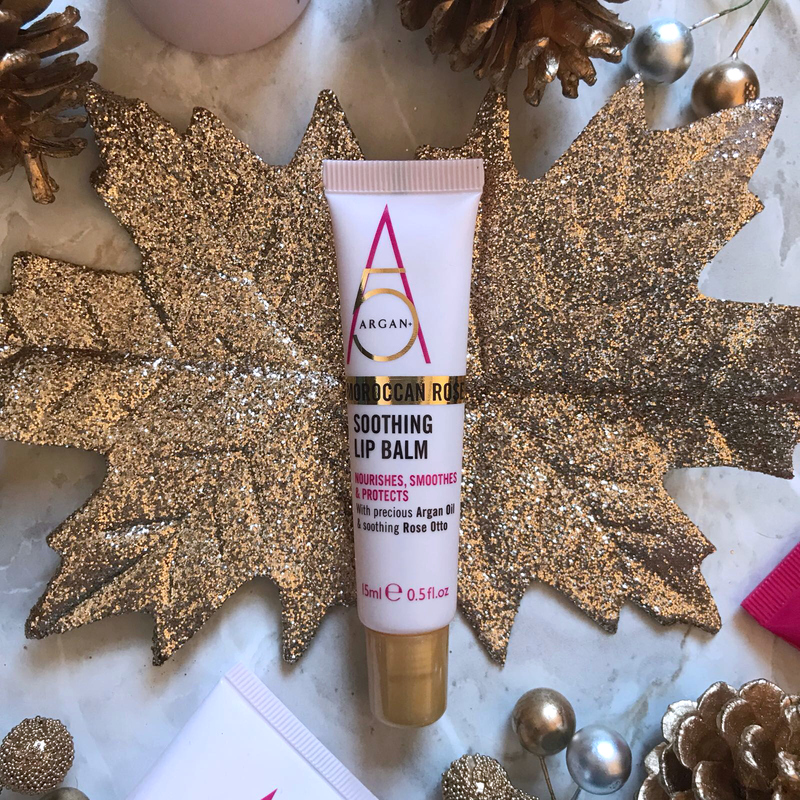 The soothing lip balm was immediately claimed by my youngest daughter, she takes the vast majority of my blog photographs for me to help me as I struggle (silly body) and her lips were extremely sore and nothing was helping. She used it immediately and for the next couple of days and her lips were completely different, they weren't cracked or sore and didn't even feel dry and considering they were in a mess they had improved dramatically. The lip balm can be worn alone or under lipstick and relieves dry, dehydrated lips and prevents chapping, Lissy's lips were already very chapped and sore and very dry but after using the lip balm for 2-3 days they were a lot better. 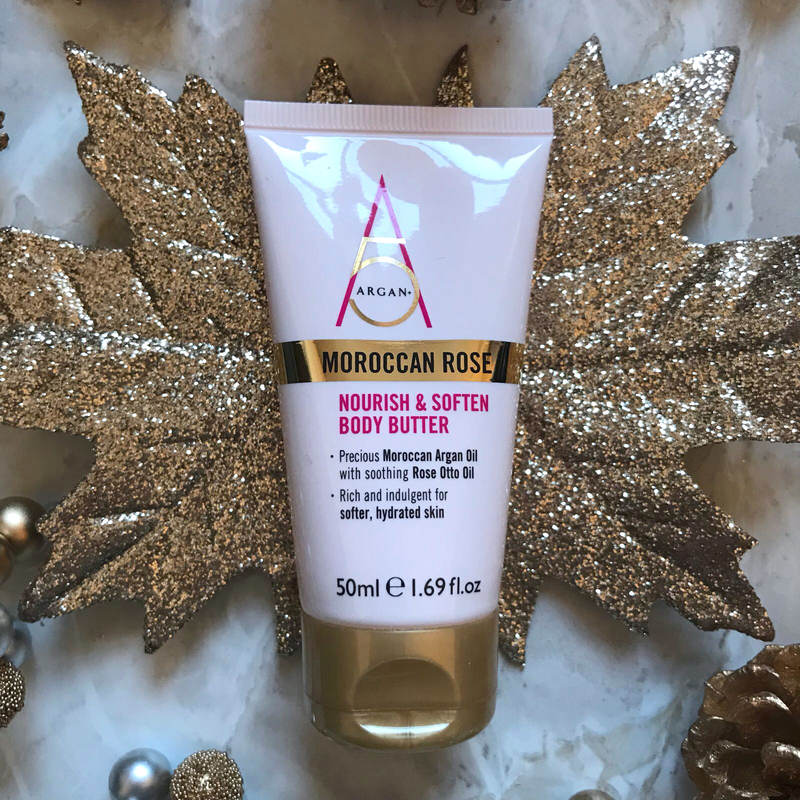 The body butter contains the same key ingredients as the bath soak and body wash, but also contains Coconut Oil and Hibiscus and vitamin rich Argan+ Synergy, to give the skin the ultimate nourishment and softness. The body butter sinks into the skin nicely without leaving it feeling greasy but leaves the skin feeling very soft, deeply hydrated, supple and with a lovely delicate scent. 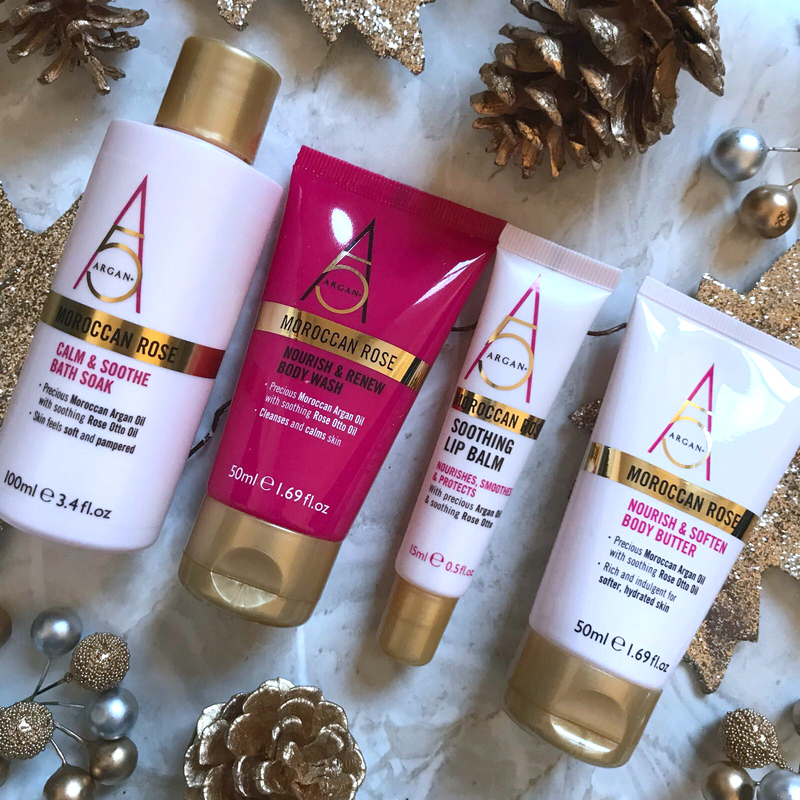 This is a lovely set, the products have a nice scent and are all great products, they would be handy to save for taking on holiday too, the lip balm really saved Lissy's sore, dry and chapped lips and she loves it, I like the body wash most out of the set I think but they are all nice products, and not a bad price either at £9.50 for the set. Waitrose have a really great gifts under £10.00 section on their website, and their beauty gifts are currently on a 3 for 2 promotion too, so even better. If you would like to pick up the Argan+ Moroccan Rose Mini Treats Gift Set, you can find it on the Waitrose website priced at £9.50. 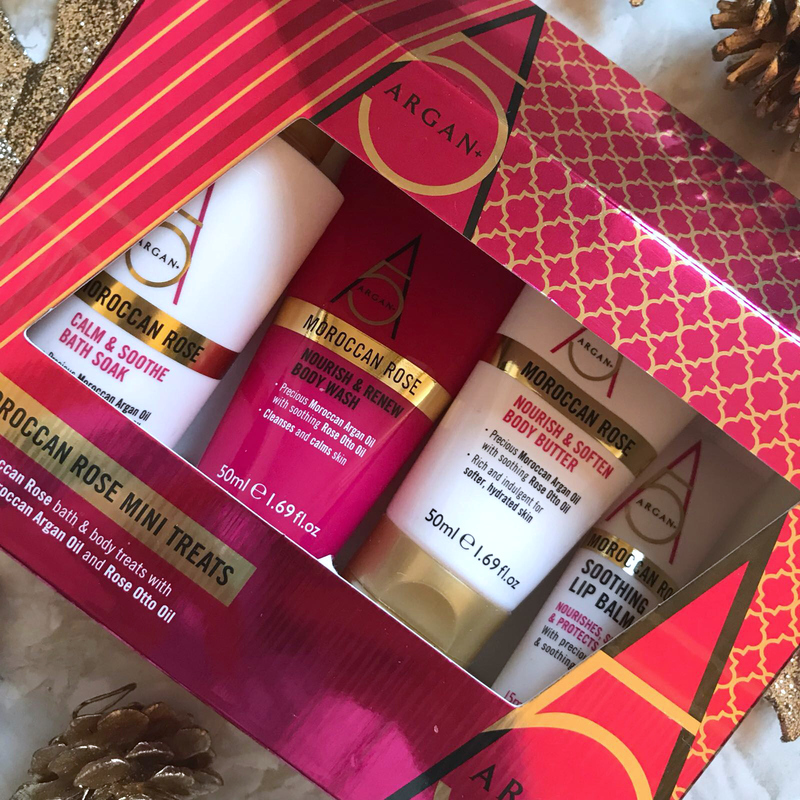 Have you tried Argan+ products? 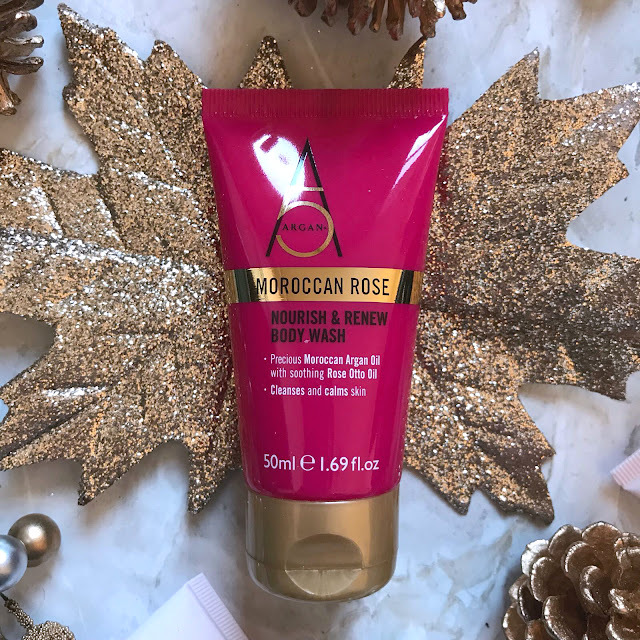 Or their Moroccan Rose range? And do you like getting gift sets for Christmas? I do as it's a good way of trying new products, and nice to take away on holiday too. Let me know your thoughts in the comments below.